I just LOVE the woodland theme! For everything! So when it came to be that time of year when I throw a big double birthday party for my kids, I just had to go with the woodland theme. And Besides, I chose to throw our party at a local wildlife center which takes care of all of the various wildlife here so the woodland theme was perfect! 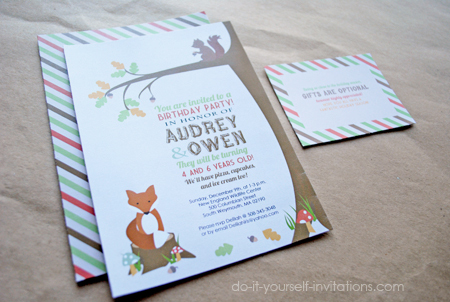 I hope these woodland invitations will be perfect for your woodland theme party as well. 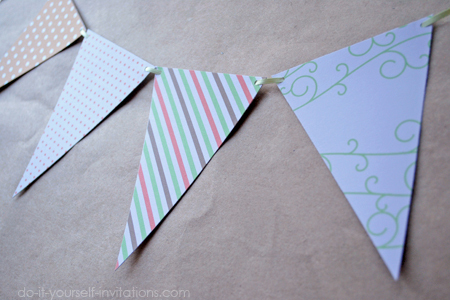 These invitation templates are editable! So that means that you can change the invitations wording yourself, along with the text colors, fonts, and sizing. 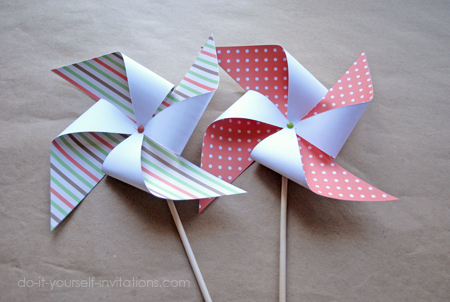 This makes for a wonderfully simple invite you can print form your own computer at home! These invites are a great print and go item. 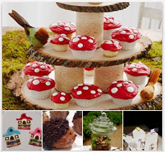 But you can also get a little creative with the items in this kit as well! 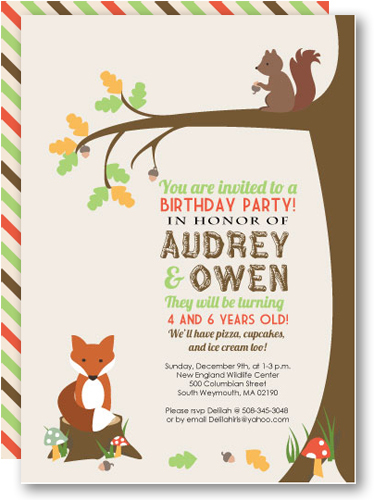 I love the idea of adding fuzzy, furry flock to the fox and squirrel on the invite! And as always tying the pieces together with a belly band and/or bow is adorable. 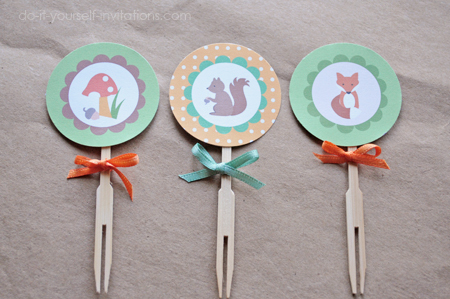 The cupcake toppers can double as favor tags, gift tags, envelope seals, or to embellish the favor bag toppers. You could even make straw toppers out of them. 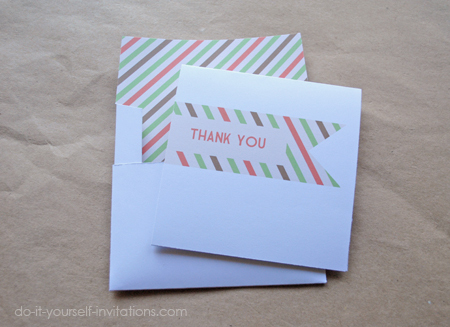 The Thank you note with it's printable envelope is editable (front only) so you can us it again and again as a thank you or greetings card. Awesome!